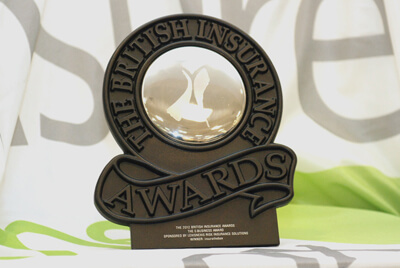 After only 2 years of trading insurethebox has been presented with the prestigious E-Business Award at the 2012 British Insurance Awards. Held annually at the Royal Albert Hall, the British Insurance Awards celebrate achievement and innovation, rewarding outstanding performance and commitment to meeting customer needs. The E-Business award is for the company who has shown success in using innovative technologies to generate new business and enhance customer experience. insurethebox were selected for using E-Business to prove the benefits of telematics-based motor insurance. The company was praised for its use of the latest technologies to increase sales, enhance customer experience and combat fraud. As a brand with innovation and customer service at the heart, the E-Business award is a fitting achievement for insurethebox. Using the very latest in telematics technology, their aim is to change the face of motor insurance, making the roads safer and ultimately saving lives.